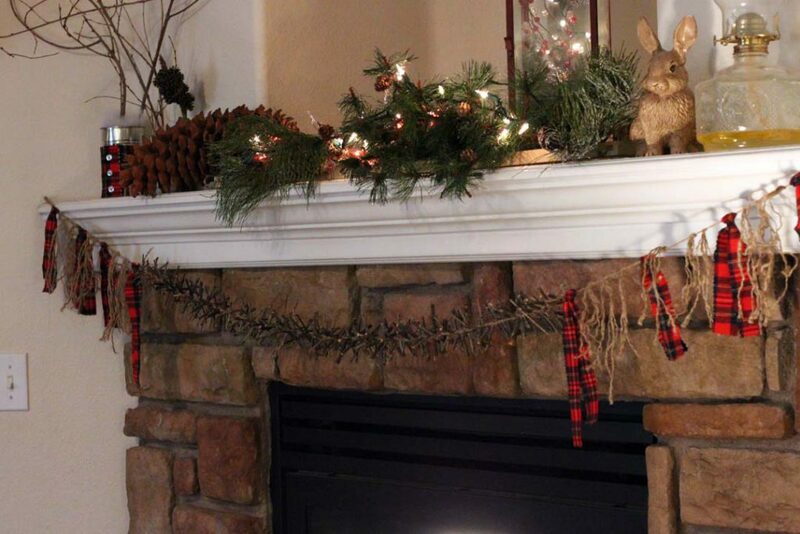 I always have a hard time thinking of things to decorate my home in those winter months after Christmas. 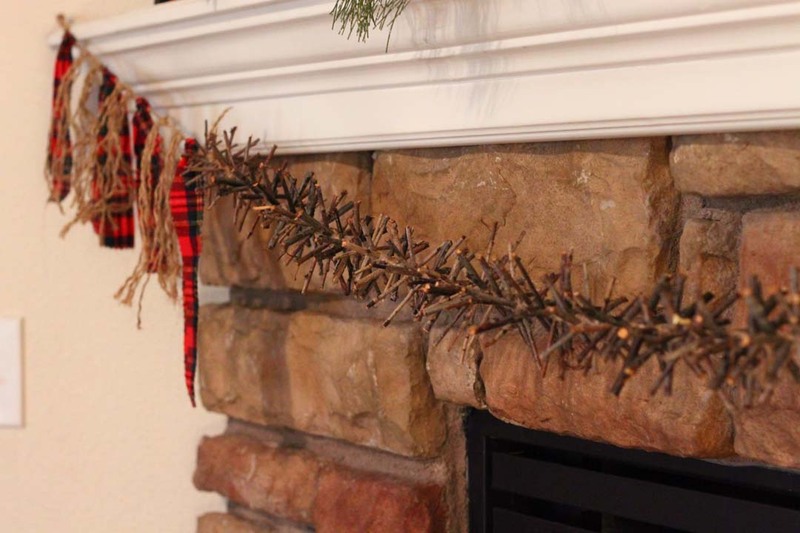 This twig swag makes a pretty decoration that feels woodsy, and wintery, without looking like you forgot to take down Christmas. 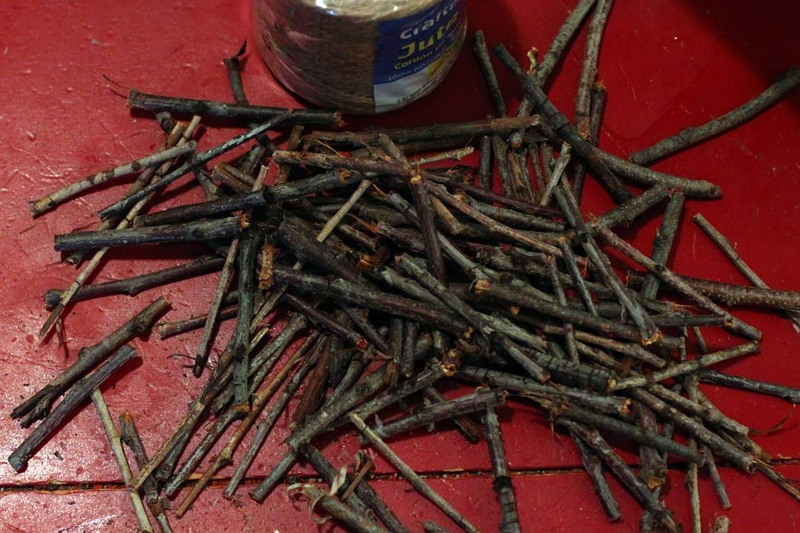 To begin, cut your twigs into pieces that are approximately 2-inches long. Don’t worry about being too precise, just eyeball the length. 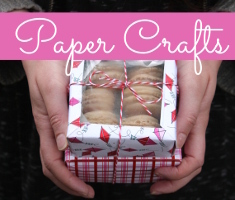 Cut two lengths of jute that are about 2-yards long. 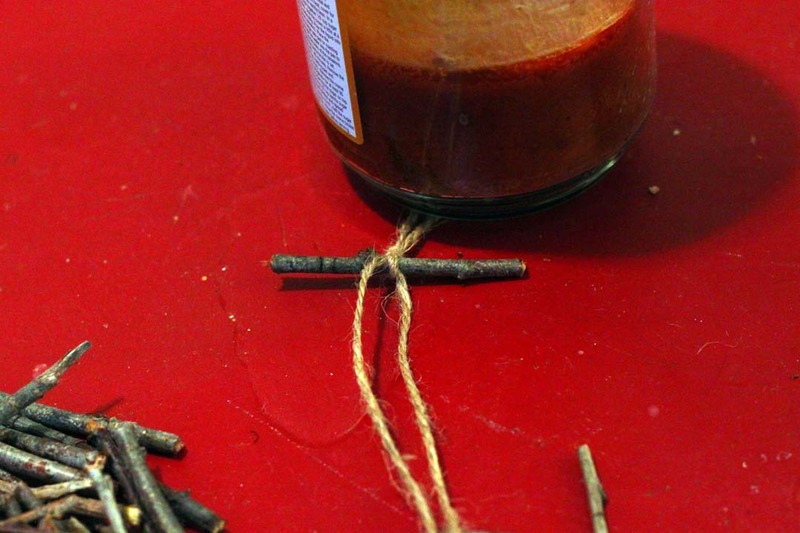 Tie the pieces of jute together on one end, leaving a 3-inch long tail. Working on a table, place the tied ends under the edge of something heavy, like a can, or a pile of books. Position a twig piece centered between the two pieces of jute, up against the knot. Tie a basic knot with the two ends of the jute, pulling it tight up around the middle of the twig piece to secure it in place. Center another twig piece up against the knot you just made to secure the first twig. 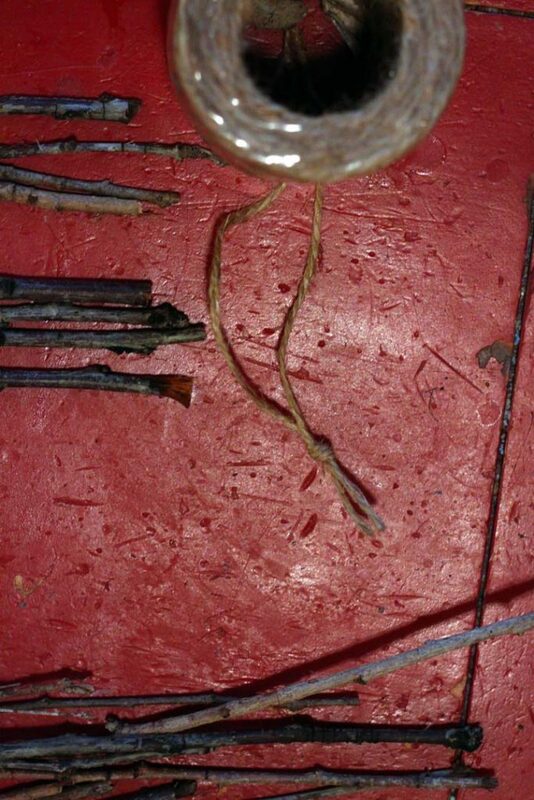 Once again, tie a knot around the twig using the pieces of jute, pulling tightly to secure. 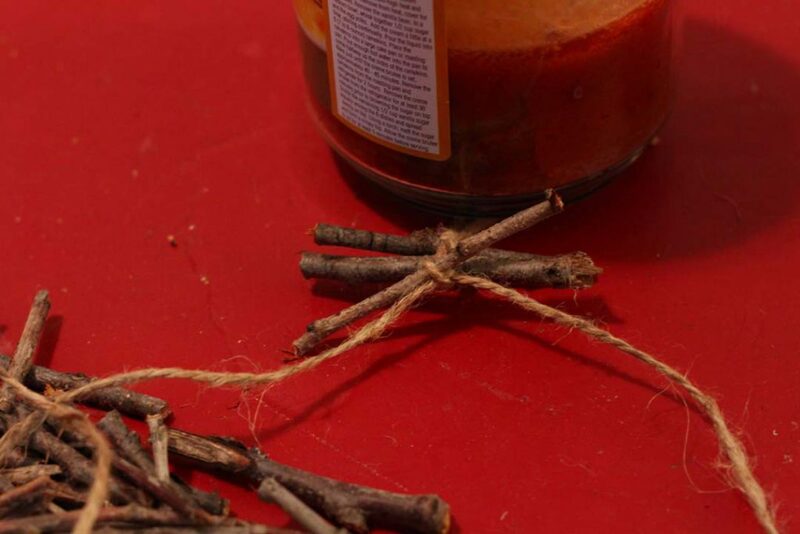 Keep adding sticks, and tying them into place with the jute until you come to the ends of your jute. 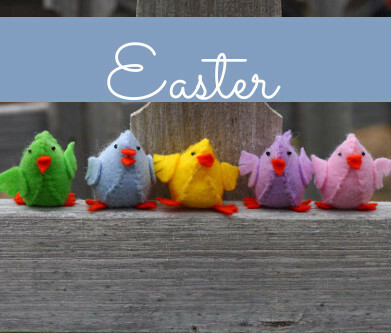 Rotate the position of the twigs as you place them so they’re not all laying flat, side-by-side, but instead in a whorled pattern. 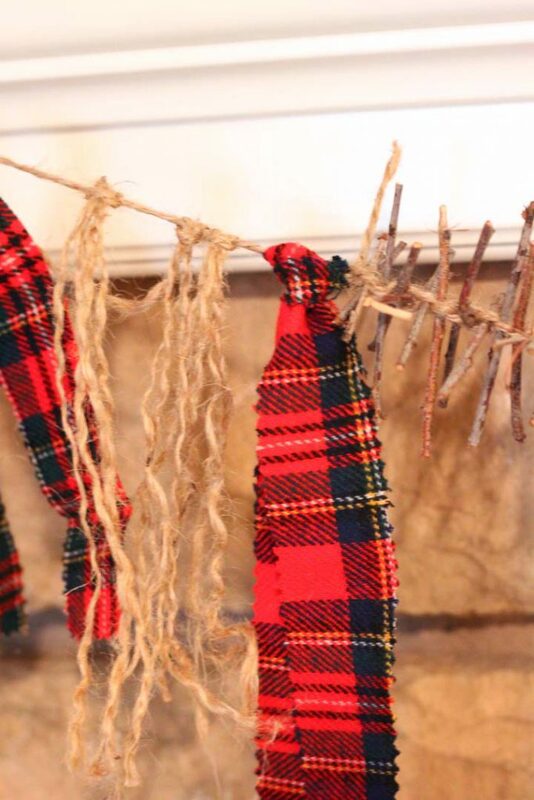 To make a longer swag, simply knot another piece of jute onto the ends, and keep going. I found it’s actually easier to tie more jute on as you work, than trying to keep really long pieces of jute untangled as you attempt to tie knots. 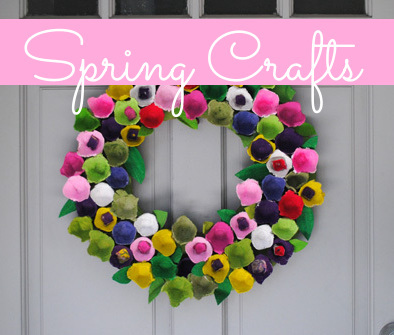 Yes, this is time consuming to tie all the twigs, but it’s mindless work, and easy to do while binge-watching your favorite show on Netflix. After tying several inches of the swag, I stopped working flat on the table, and found it was easier for me to sit on the couch, holding the swag between my knees right near where I was working, and letting the finished part dangle down to the floor. 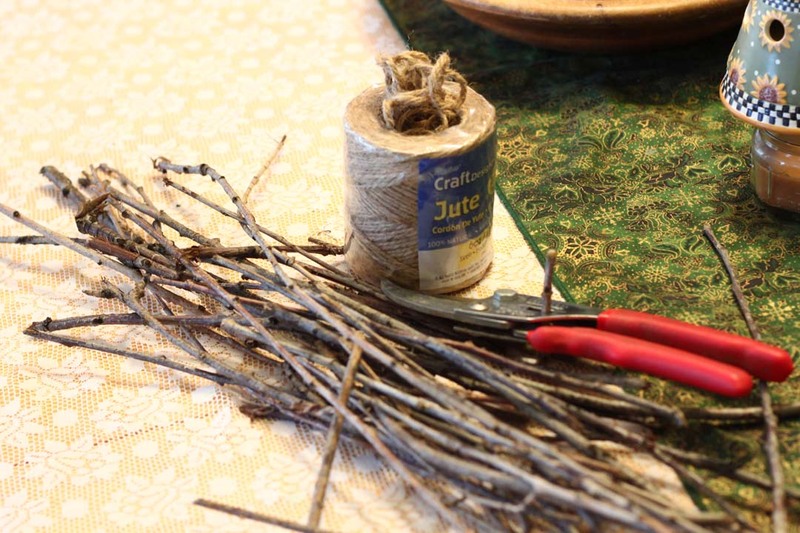 When you’ve made your twig swag as long as you desire, knot a single length of jute onto each end of the swag to make the swag the finished length. 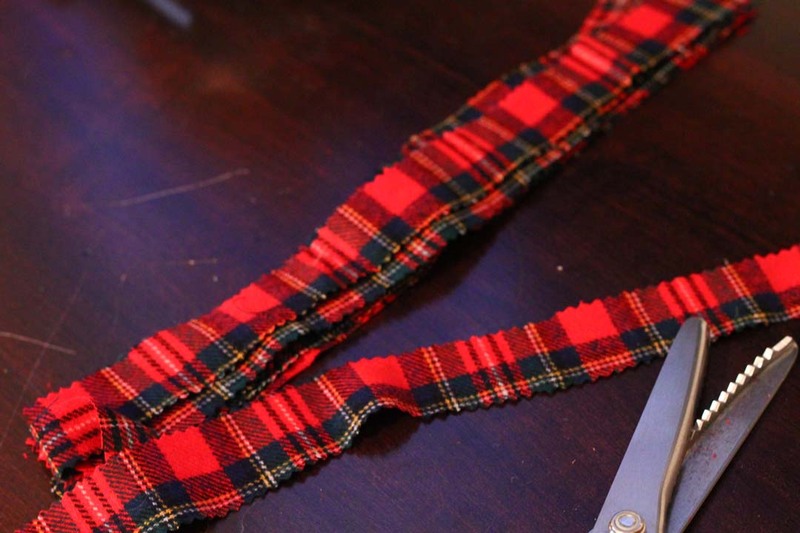 Cut some 1-inch strips of flannel with your pinking shears, in whatever length you desire. 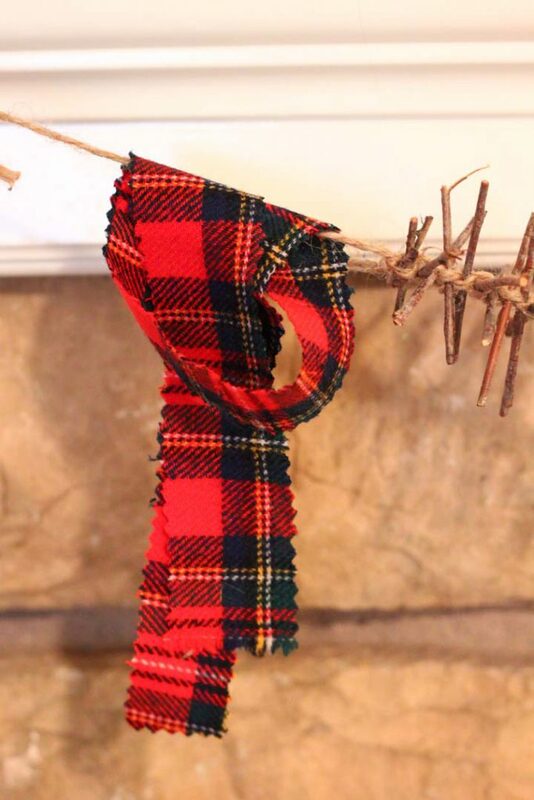 Double them over, place behind the jute ends of your swag, and pull the tail ends up, over the jute, and through the loop created by the folded end of your flannel strip. Pull the tails tight to tighten the knot on the jute. Repeat with the other strips of flannel, as desired. 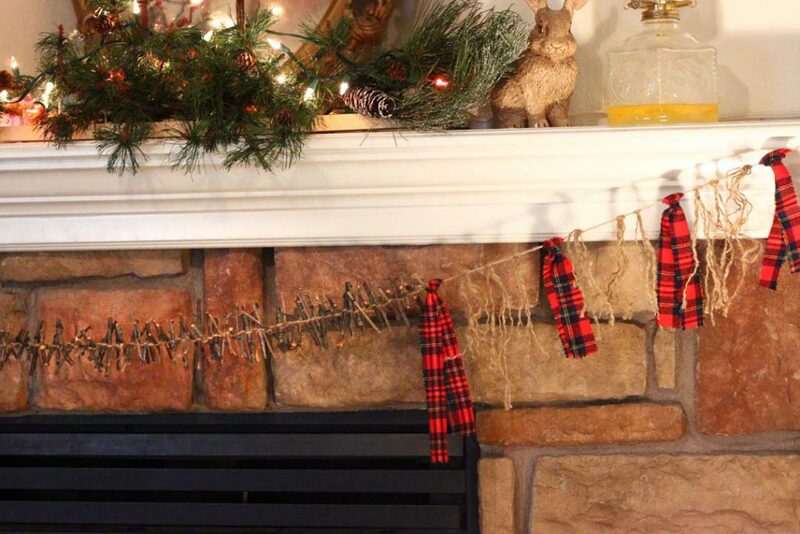 Cut some lengths of jute, and knot onto the swag in the same way you did the flannel strips. To unravel the jute “tassels”, grasp a tail of jute, and twist one direction until the strands separate and make a frayed tassel. Repeat with the others. Hang your swag across your fireplace mantle, along a bookshelf, or across a doorway, and enjoy your new woodland décor! 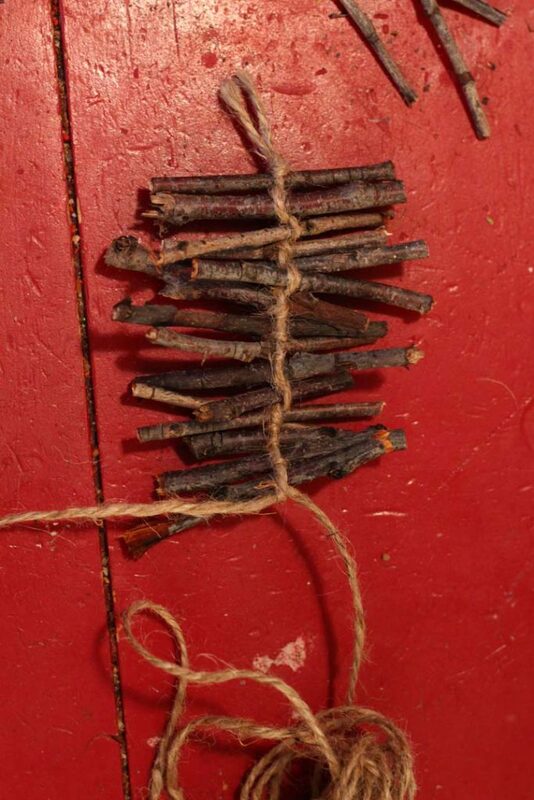 This entry was posted in Crafts, Home Decor, Winter and tagged Nature, swag, twigs, winter decoration on January 24, 2018 by Michelle.